These 24-Karat Gold Limited Edition FACTORY SEALED CD's are an audiophile collector's item that simply gives the feeling of being directly in the studio with the artist. 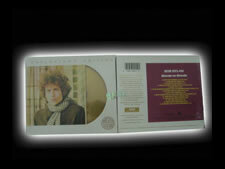 All are long out of print & probably the rarest with the 24 Karat Gold CD Market. 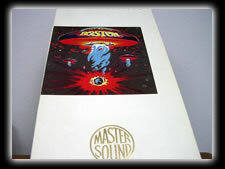 Some titles like the CBS Mastersound Long Box titles are now over 2 decades out of print & Japan Pressed. Most of these titles Mymusicfix only has one copy remaining forever. You need to read the special unique qualities within the CBS Mastersound Series included within this newsletter. 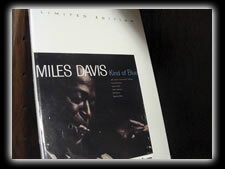 If you are a collector of the most valuable audiophile masterpieces then do not miss out on these one & done selections. 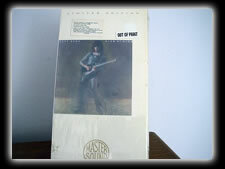 These recording are mastered from the Original Session Tapes and the disc is custom pressed using 24-Karat Gold (known for its superior qualities and resistance to oxidation). Each Out of Print Gold bonafide collectible disc has all Liner Notes, Photos, and Artwork from the Original LP faithfully recreated. A SONIC WORK OF ART. These Out of Print gems are the Finest/Rarest of the audiophile CD market. Many over the last years have doubled or tripled in value. The future of these collectibles is so exciting because each piece is a sonic work of art that will never be reproduced using this expensive 24-Karat Gold mastering process. 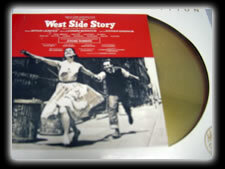 You will be one of the lucky collectors in the world owning this First Generation audiophile classic. 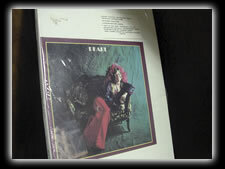 Each CD was pressed directly from the original studio master session tapes; the purest source of musical information and engineered to produce the finest CD sound quality available. 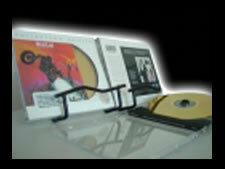 Every compact disc delivers the music to you with all the depth, dynamics, and richness of the live recording session. We invite you to hear the three-dimensional quality of the music just as the artist intended for it to sound. The proprietary mastering technology extracts and transparently stores more musical information from the original master tapes than any other method in existence. For the discriminating listener, the results include: a wider range of frequencies, increased depth and room dimension cues, clarity, and separation of instruments. The technology substantially decreases characteristics such as hardness and glare bringing the sound of CD even closer to the warmth and openness of analogue. 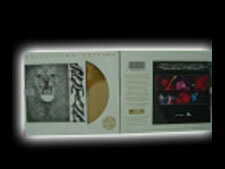 Why Buy 24K Gold CD's? Aluminum particles are rough, resulting in pits and irregularities on the playing surface. Gold particles are uniform and have a constant rate of reflection giving an even, reproductive sound quality. 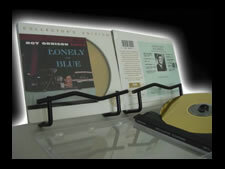 Also, 24K Gold CDs will not oxidize or tarnish and will last for years longer than traditional aluminum CDs This is a true Collector's find for those individuals who want to own the finest and rarest pieces of musical history. 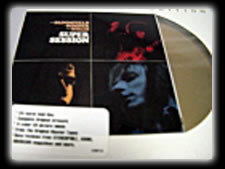 It is similar to owning the artist's own Rare Gold Record Album in a Gold CD pressing. You will be one of the last people in the world to own these Limited Edition Long Out of Print Masterpieces that will add true value to your Collection. 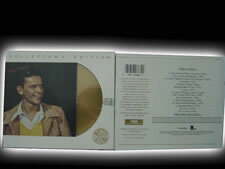 Many of these 24 Karat Gold CDs sell for $300+ each in the Collector's Market so Do Not Miss Out! 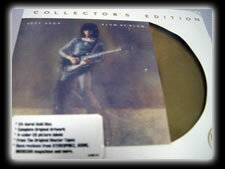 Please notice the unique packaging that exhibits the Gold CD and Original LP cover inside the Factory Seal for display as a valuable item for your Collection or mantle. This expensive standard of quality package is only found in these 24-Karat Gold Masterpieces. 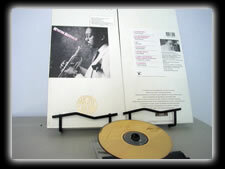 A Unique Collectors Note: This CBS/Sony Mastersound Small Box Pressing is the only 24-Karat Gold CD that has the actual Out of Print Pressing Date and Serial Number Engraved into the flame-polished spacer. No other company went through this Limited Edition process on their 24-Karat Gold masterpieces to Verify the Authenticity of this pressing for the Collector. This makes this Sonic Gem the finest/rarest Collectible within the out of print market. 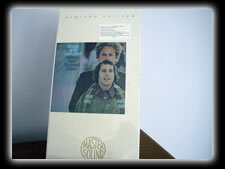 Also, Beware of any small box Mastersound Gold CDs that do not have this flame-polished spacer area because they do not have these unique Pressing Dates or Serial Numbers Engraved.